A few weeks ago, I traveled to the far reaches of Hamilton County to visit Lisa&apos;s Pie Shop, and I wasn&apos;t disappointed. 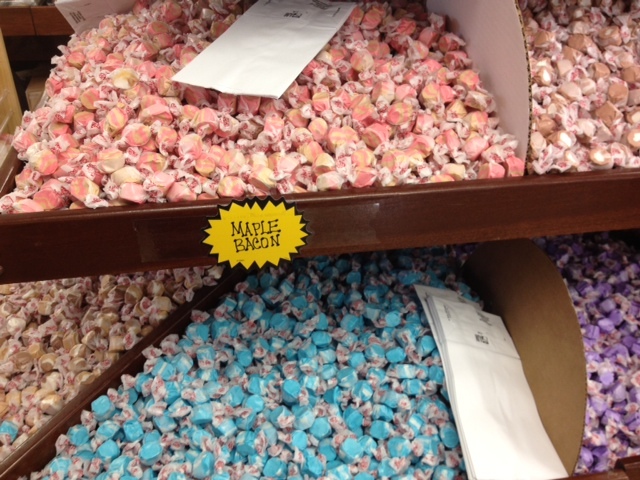 Along the way, I discovered the Wilson Farm Market, 1720 East 256th St., Arcadia. While I wasn&apos;t in the market for fresh produce or anything, I stopped just to explore--and I&apos;m so glad I did! This place is a gold mine of bizarre foods, locally grown items, and all sorts of stuff to make you say, "yum" or "eww," depending on your preferences. And in many cases, you can even try before your buy, such as with the vast array of Amish cheese. They have some gift baskets already made up, including a "no sugar added" one that includes jams, butters, and chocolate. 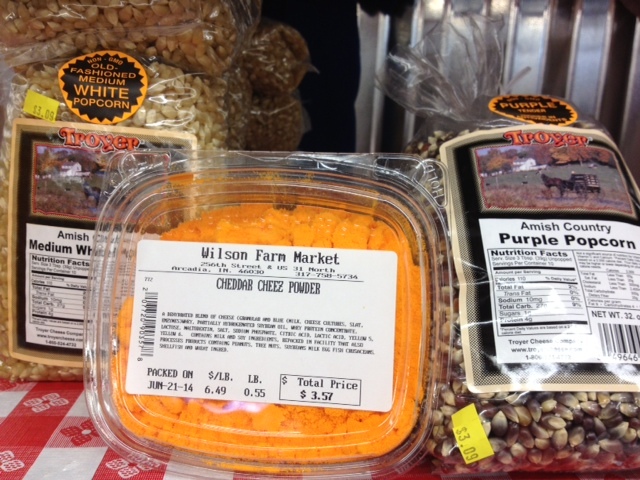 Amish: Cheese, noodles, popcorn--including one with purple hulls, butters (apple, pumpkin, etc. ), a cookbook, and how about a large tub of powdered cheese to toss with the locally grown popcorn? I somehow doubt it&apos;s Amish, but it certainly would up the quirk factor. Meat: Jerky (available in multiple flavors and species), snack sticks, maple bacon salt-water taffy, meat, and meat accessories. Need something more romantic? Eclectic? Beautiful? A Corner Cottage, 895 Conner St., Noblesville, might be just the place. Vintage-style items are a specialty, from lacy pastel boot socks ($18) to sweet already-layered looking sweaters and slips that are so pretty they could be worn as a dress. Chunky jewelry also makes a fun gift, and here they have bracelets and necklaces with a cool variety of charms. 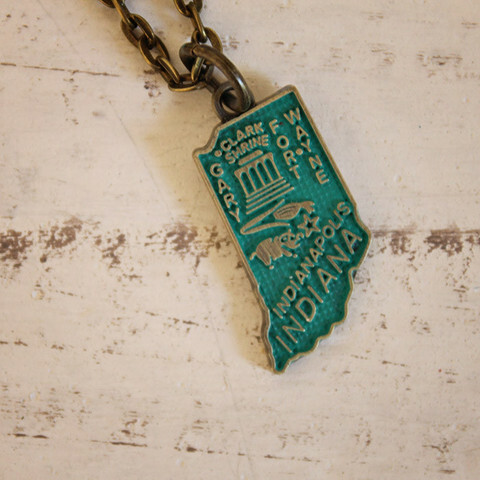 I especially like the proud-to-be-a-Hoosier state charm necklace (also $18). With the whole home-is-the-new-spa theme of modern bathrooms, Bath Junkie, 741 Hanover Place, Carmel (in the Carmel City Center shops), has luxurious accouterments in which to outfit yours to your liking. 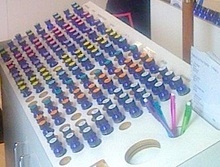 It really is a cool concept: You get to create your own scent from more than 100 small vials of essential oils. They are arranged in categories such as floral, citrus, spices, men&apos;s, etc. A menu of popular blends is available, but it&apos;s fun to wing it and create your own blend. Once you find your signature scent, you can choose from a dizzying array of products through which to enjoy it: Scrubs, lotions, massage oils, perfumes, reed diffusers, antibacterial hand wash, fabric softener, cleaners--even a line of doggie toiletries can be scented as you choose. You can also chose the color of your product, so it can match your home spa, wedding theme, or dog bed. Shopping for a child? You can add toys and gems into a custom-created bubble bath as well. And while it&apos;s hard to choose a scent for someone else, there are all sorts of bath crystals, slippers, robes, hair wraps, lip balms, loofahs, and other items that would pair perfectly with a gift certificate. 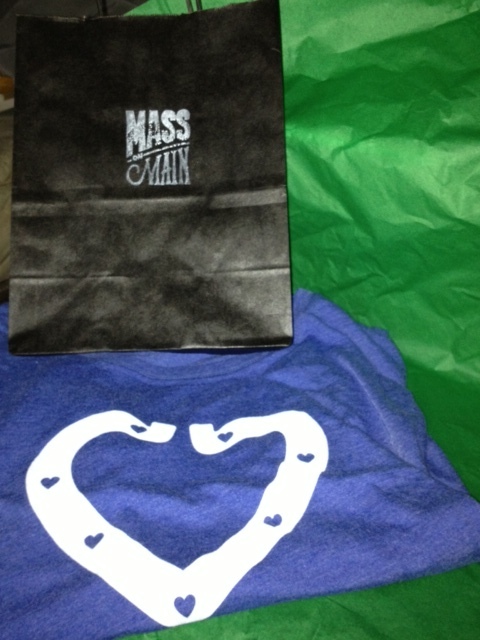 Mass on Main, 110 W. Main St., Carmel, a shop that brings the best of downtown&apos;s Mass Ave to Carmel just increased our cool quotient! There you can find all manner of gifts from stores such as Silver in the City, Nurture Baby, and more. My favorite is a T-shirt that&apos;s perfect for a casual Colts fan who wants to be cute in displaying their semi-fandom. The shirt features the Colts logo bent into a heart shape! The holidays are upon us, the malls are packed, and at this point, you&apos;d likely have to pay extra shipping to receive items in time for Christmas. Really, is there any reason not to shop local? Shanna is a curious explorer who is always looking for a good story to tell or adventure to have. She is a writer and medical editor who chooses to live, laugh and play in Hamilton County.